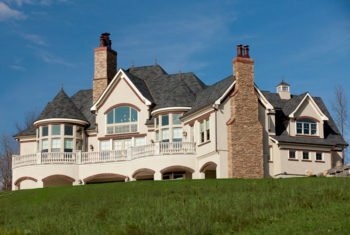 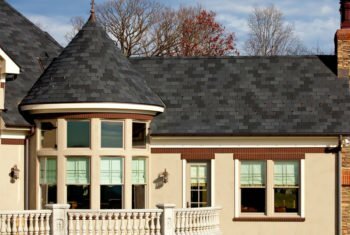 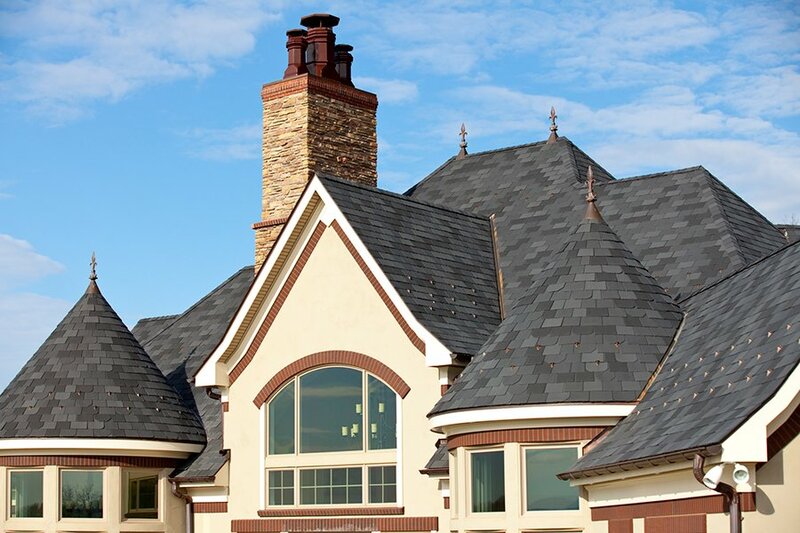 This beautiful home in Elmira, NY features a Majestic Slate roof in 12″ Traditional, 10″ Traditional, Beveled Edge and Beaver Tail tiles in a Midnight Gray Blend. 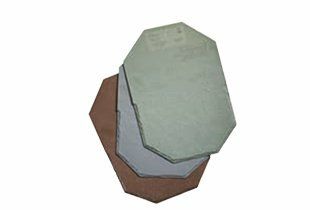 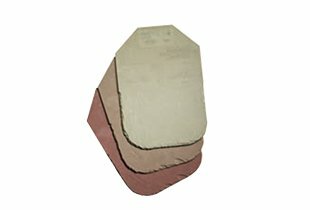 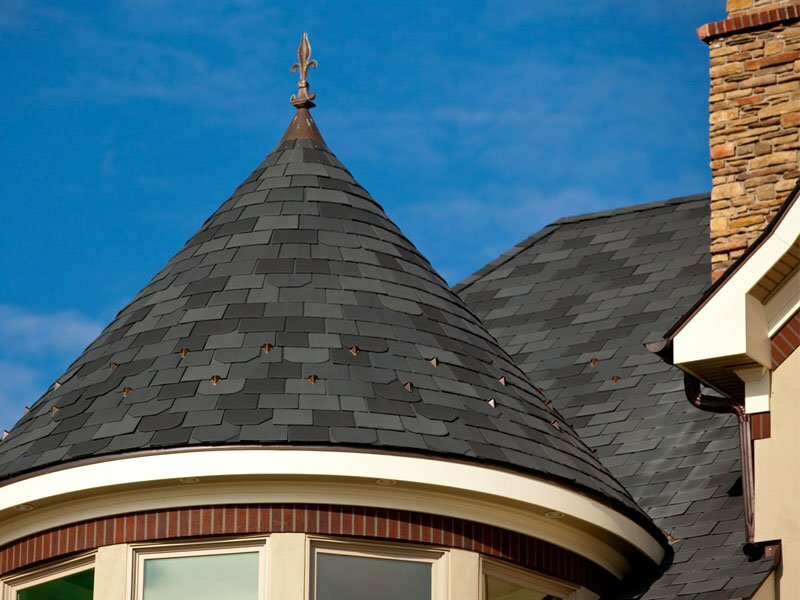 The Designer Series tiles were installed on the turrets for a unique, but elegant, finished look. 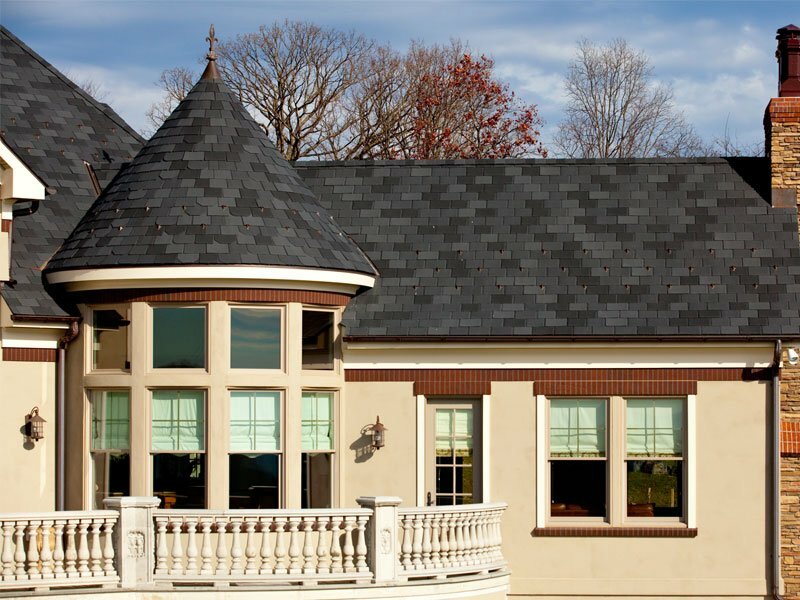 The blend of grays along with the various tile profiles adds depth and texture to the roof. 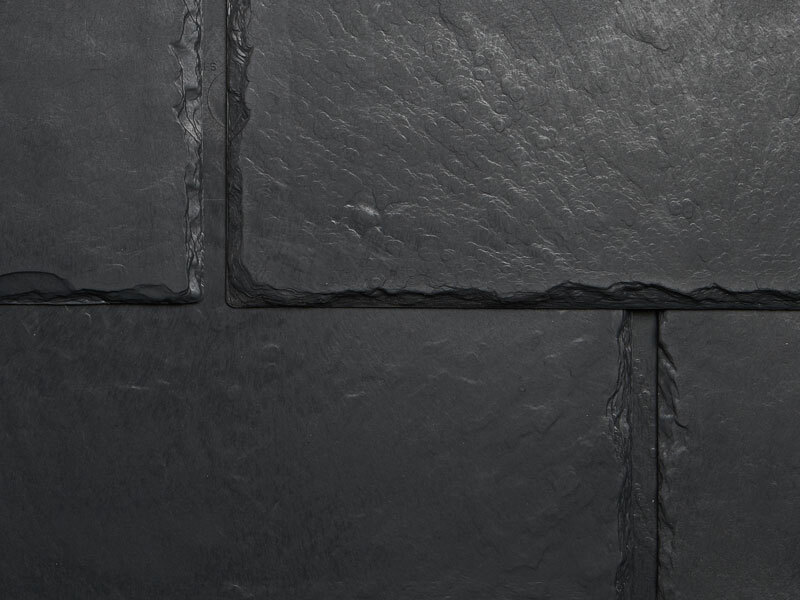 Majestic Slate is manufactured with post-industrial recycled content to create a lightweight and environmentally responsible alternative to natural slate. 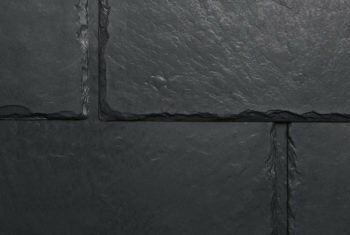 Majestic tiles are proven to protect against the most extreme elements such as rain, hail, snow, fire, extreme temperature change and the sun’s UV rays. 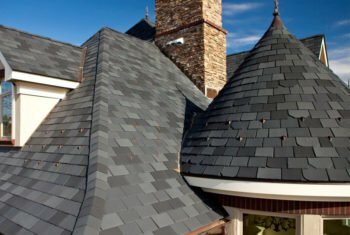 Think EcoStar might be right for you? 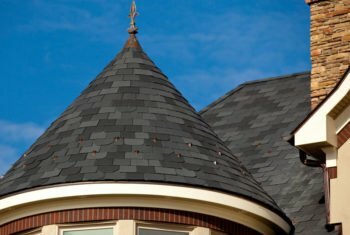 Let’s talk about your roofing project. 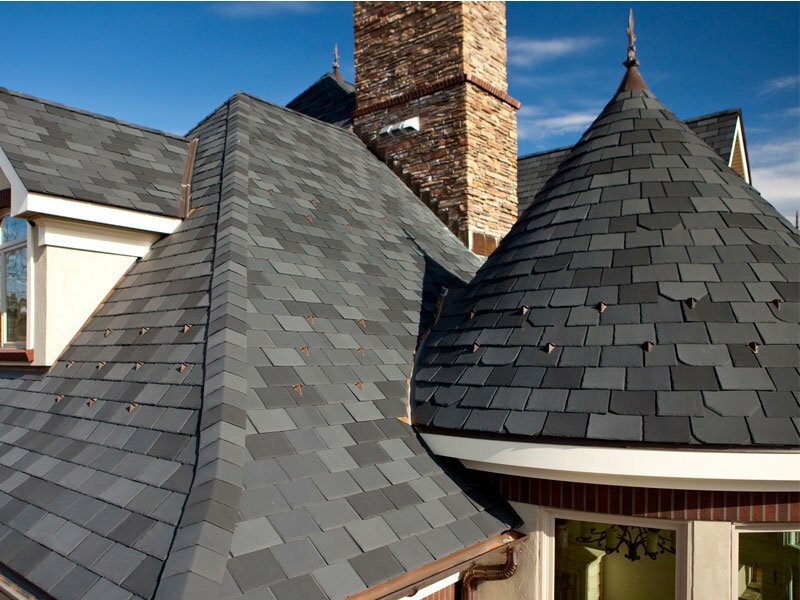 Let's talk about your roofing project.